Škoda Motorsport is the division of Czech car manufacturer Škoda Auto responsible for motorsport activities. 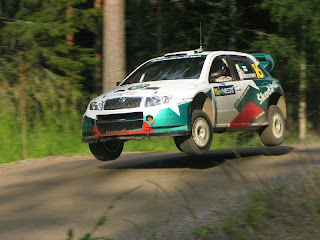 Škoda competed as a manufacturer in the World Rally Championship between 1999 and 2005, and today competes in the European Rally Championship. For 2002, where the team would compete on every event, Schwarz left the team for fellow-strugglers Hyundai. Kenneth Eriksson moved in the other direction to replace him, while Toni Gardemeister replaced Thiry. A third car was entered for Kresta on most events, with Blomqvist, Gabriel Pozzo andMatthias Kahle also driving the car. Gardemeister finished fifth in Argentina, with Eriksson in sixth, while Gardemeister also finished sixth in Australia. The Octavia WRC Evo3 was introduced mid-season. Škoda brought in former World Champion Didier Auriol to drive alongside Gardemeister in 2003. 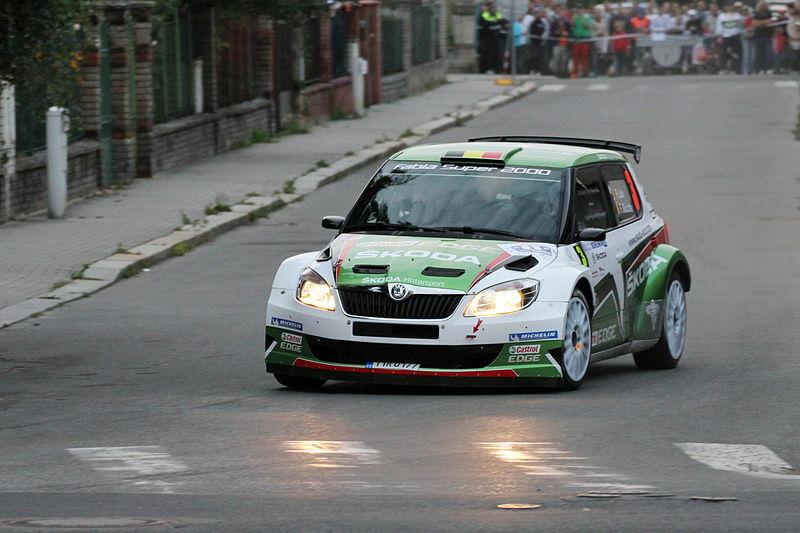 Both drivers scored points in the first-half of the season, when the Fabia WRC was introduced. 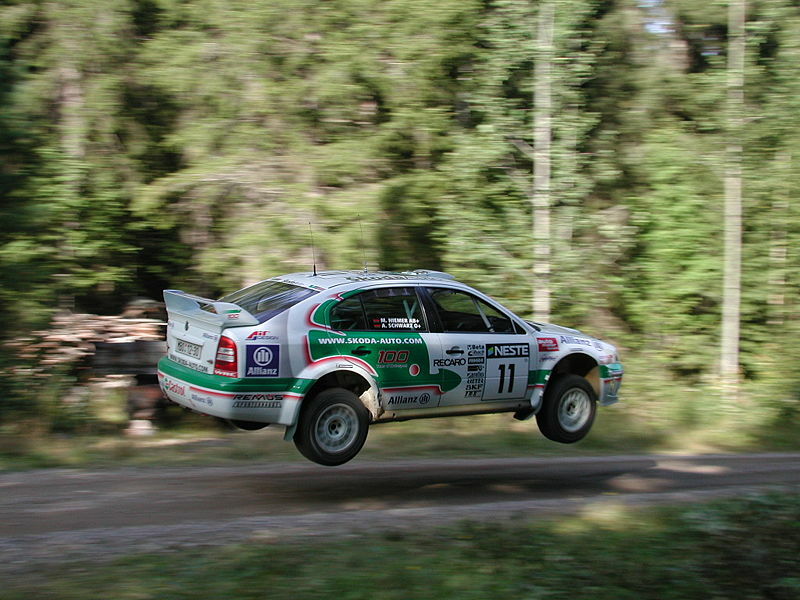 Škoda used 2004 as a development year, and hence only entered seven rallies. Schwarz returned to the team to partner Gardemeister, with Jani Paasonen driving a third car in Finland and Great Britain, Kresta in Germany and Jan Kopecky in Spain. Paasonen finished sixth in Finland, the team's best result of the year. For 2005, Škoda used a wide range of drivers. Schwarz drove one car on all but one event, with touring car driver Mattias Ekstrom driving it in Sweden. The second car was shared by Alexandre Bengué (on tarmac events), Janne Tuohino, Paasonen, Colin McRae and Mikko Hirvonen. A third car was entered on six rounds and shared by Tuohino, Paasonen and Kopecky. 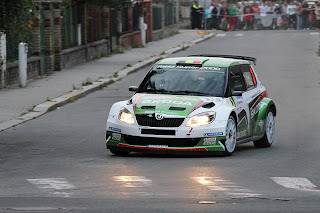 A new version of the Fabia, the WRC05, was introduced at the third round in Mexico. Once again, the team would only score points on a handful of occasions, although McRae showed promise in his two events, running third in Australia when mechanical failure hit. Škoda withdrew from the WRC at the end of 2005. 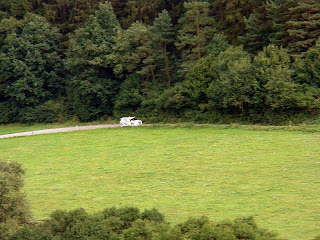 For 2006, a privateer Škoda team would be run by Baumschlager Rallye & Racing under the nameRed Bull Škoda. 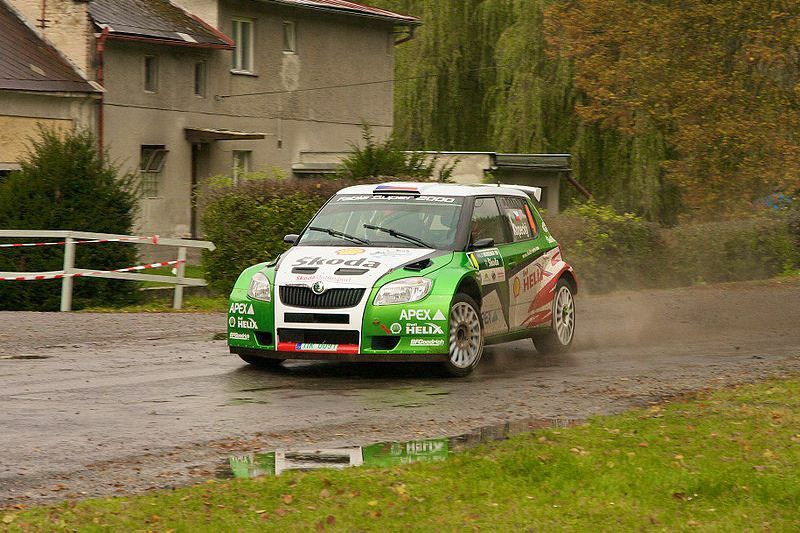 Kopecky also continued to score strong results in a privately entered car run by Czech Rally Team Kopecky. François Duval raced in season 2005 with Škoda Fabia WRC for First Motorsport Škoda. In Rally Norway 2009, Per-Gunnar Andersson entered Škoda Fabia WRC, won 2 Special Stages but retired after problems with clutch. It was announced that 2010 IRC champion Juho Hänninen and Herrman Gassner Jr. are going to race in SWRC 2011 in semi-factory team run again by Baumschlager Rallye & Racing with support of Red Bull. Name of the team is Red Bull Škoda. They are going to appear in 7 selected WRC events. Škoda Motorsport returned to rallying in 2008 with a new Super 2000 version of the Fabia, to be entered in the Intercontinental Rally Challenge Jan Kopecký showed Fabia at Barum Rally Zlín 2008 for the first time when he was driving it as pre-racer. Jan Kopecký and Juho Hänninen were signed as drivers for season 2009. Hänninen took the car's first win on Rally Russia, with Kopecky winning in the Czech Republic and Spain on his way to second in the standings. For 2011 season opening rally, famous Rallye Monte Carlo Škoda entered 5 cars. Jan Kopecký, Juho Hänninen, Freddy Loix and Nicolas Vouilloz were entered for Škoda Motorsport and Andreas Mikkelsen for Škoda UK. Mikkelsen crashed into wall at 1st special stage and had to retire at 2nd special stage because of suspension problems after crash. Vouilloz had a puncture at 1st special stage and lost some time. Hänninen was leading after first leg 44.5s before Freddy Loix, Kopecký was 6th and Vouilloz 12th. Second leg of the rally was unlucky for Škoda because drivers had chosen wrong tyres at the service before stages 7 and 8 so they lost a lot of time and Hänninen lost lead and was 6th 2:35.7s after new leader Bryan Bouffier. Freddy Loix dropped from 2nd place to 3rd, 1:05.5s after Bouffier, Vouilloz finished 8th and Kopecký 9th. 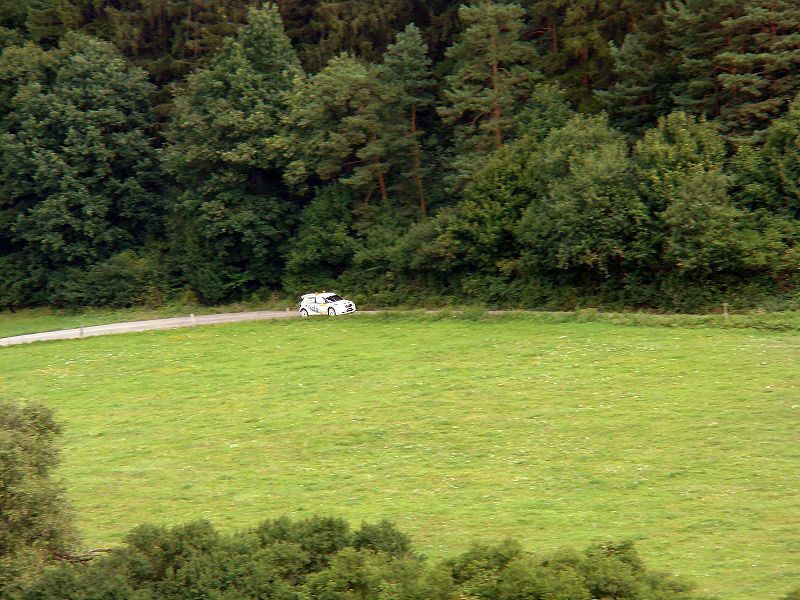 At the end of the rally Loix achieved 2nd place, Hänninen 6 th, Vouilloz 7th and Kopecký 8th. It was disappointing rally for Škoda because Hänninen was fast enough to win and only wrong tyre choice for 2 special stages cost him win, at least he won Colin McRae IRC Trophy. Including 5 points that Wilks scored with Proton Satria Neo S2000 at Rally Russia. Last updated on 20 August 2013 at 19:01.